His little hands have found their way to the crook of his slender 3-year-old hips. The once placid temperament that was a permanent staple of his personality is slowly giving way – bit by bit – to one that’s a tad more opinionated and self-willed. He’s coming into his own and gaining clarity on his likes and dislikes. 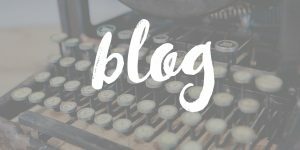 So instead of silent compliance at a direction given by his father or me, an ornery disposition sometimes arises – along with his hands to his hips. Jude Shirer has an opinion. He wants what he wants and what’s more, he wants it now. Obviously, this abrasiveness has to be curbed by the sting of reality. He has two siblings that are equally important (even if they aren’t the baby of the bunch) and two parents who are indeed in charge (even on the days that we don’t feel like we still are). It’s our goal to mold his heart towards honor and his actions toward obedience so we’ll keep working on it. But as we do, we’ll continue to see the signs that every independent 3-year-old individual has expressed when directed to do something that they would rather not. The list could go on. . . but somehow I sense that you can easily fill it in yourself. Not only if you have a toddler of your own but because you’ve at least seen one – or heard one a few seats behind you on the airplane or in the grocery store line. You’ve caught a glimpse of that iron clad will being sent into a tizzy after being told what to do by a parent. Hopefully maturity and stern parenting will buff the jagged edges off of their developing personalities. In the meantime I think there is a lesson to be learned from these stubborn little tykes. You see, I’ve been bossed around before. I know what it’s like to be commanded to comply and coerced to conform. The seduction of my overactive imagination and over-charged flesh has often seemed a force too virile to disregard. There have been habits and desires, passions and lusts that have nagged and bossed, pushing me two handed down a path I’d honestly rather not have put one foot on in the first place. It was a war with myself; one that I felt ill-equipped to handle. But, I was equipped. So, I couldn’t point the finger of blame anywhere except backward at myself. It was my fault for disregarding my own God given strength, choosing instead to fold and cave day after day, year after year until the person I saw looking back at me in the mirror was only a shadow of the woman I knew I’d been redeemed to be. I was surprised with myself and caught off guard by my lack of tenacity and strength. When did I become this weak? Why was I acting so feeble? How did I get myself into this? And more importantly. . . how can I get myself out? And what’s worse, I didn’t even fully enjoy the path I was caving to anymore. The relish of excitement that once pulsed through my veins was gone, replaced by a paralyzing guilt and an overwhelming sense of regret. This sin wasn’t even fun any longer. When would I learn that the benefit was never going to out-weigh the cost? Maybe you’re familiar with my battle. Paul had a boss, one that doesn’t seem to like keeping a small clientele. It’s a tyrant potentate that would like nothing more than to rule over every human who will give it permission. But Paul’s brutally honest chapter and my son’s juvenile actions shows us that we don’t have to take this kind of brutality lying down. The prowess and strength that is in us can rise up and take a stand against the flesh that is on us, demanding that it back down, take its rightful place and submit to a new way of living. We don’t have to do anything it demands anymore because, now by God’s Spirit, “we do not walk according to the flesh, but according to the Spirit” (Romans 8:4b) and we are not required to comply to whom we no longer belong. There’s a new Boss in town and he doesn’t live uptown. . He’s downtown right in the center of your own heart. So, hands on your hips, my friend. A holy temper tantrum is in order. Stand your ground, dig in your heels and don’t back down. Shoot, why not stomp your little feet and slam the door on the way out, too. That’s exactly what your tired old boss deserves anyway. You don’t have to be bossed around for one more day of your life. In fact . . . .you already are. 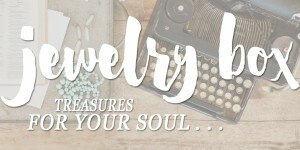 Thanks for subscribing to the Jewelry Box email list! Priscilla on the Get Up! 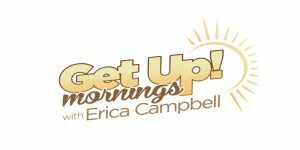 Mornings with Erica Campbell! Thanks for the note! We will be in touch soon.